Any pack-slasher or pickpocket who targets your Metrosafe LS350 Anti-Theft Backpack from Pacsafe will soon learn they've made a poor choice. 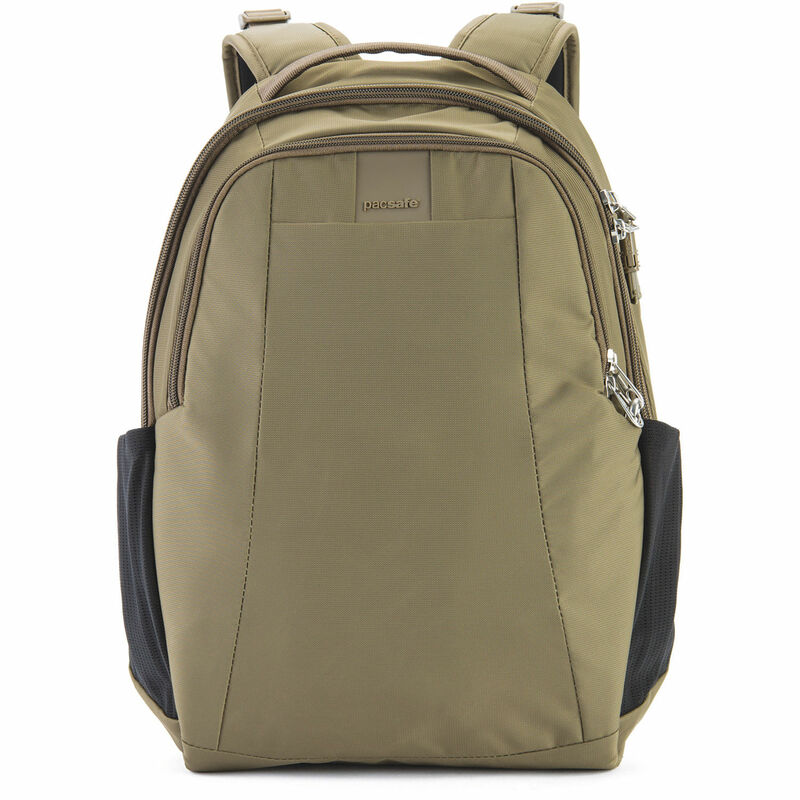 This earth khaki, 915 in³ / 15-liter bag comes with a suite of features designed to keep your belongings secure. The pack offers zippered main and front pockets with internal organizers, a padded sleeve that accommodates a 13" MacBook or similarly sized laptop, padded grab handle and shoulder straps, and side stretch pockets for water bottles or other gear. Metrosafe LS350 Anti-Theft Backpack (15L, Earth Khaki) is rated 5.0 out of 5 by 1. Rated 5 out of 5 by David from Great size, construction and security. Purchased for travel day touring use when all I need is a 13 laptop and a limited photo kit etc. When getting to your main destination, it fits easily in your suitcase or large photo kit bag. Love the security aspects.